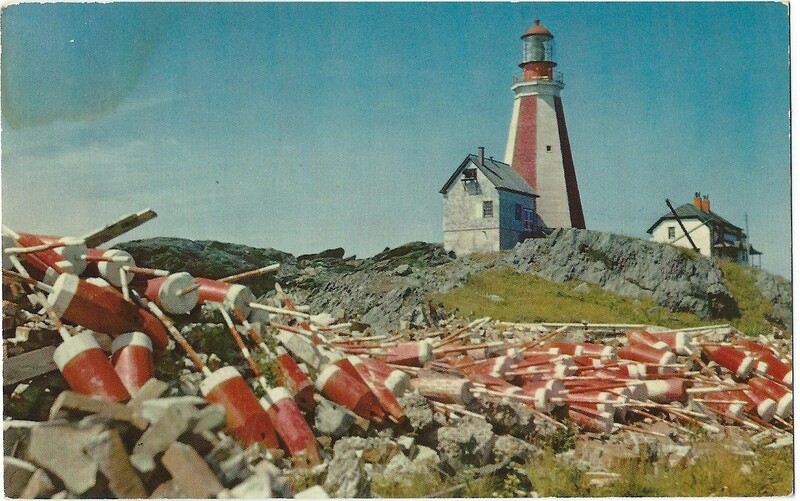 CAPTION: Yarmouth Lighthouse, with lobster pot markers in foreground, Nova Scotia. 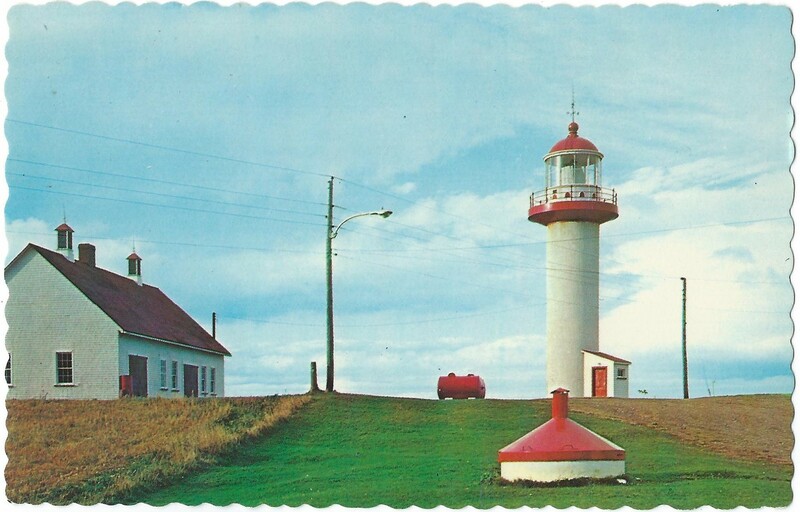 CAPTION: Point Prim Light near Bigby, marks the entrance to Annapolis Basin from the Bay of Fundy. The lighthouse at Madeleine River. 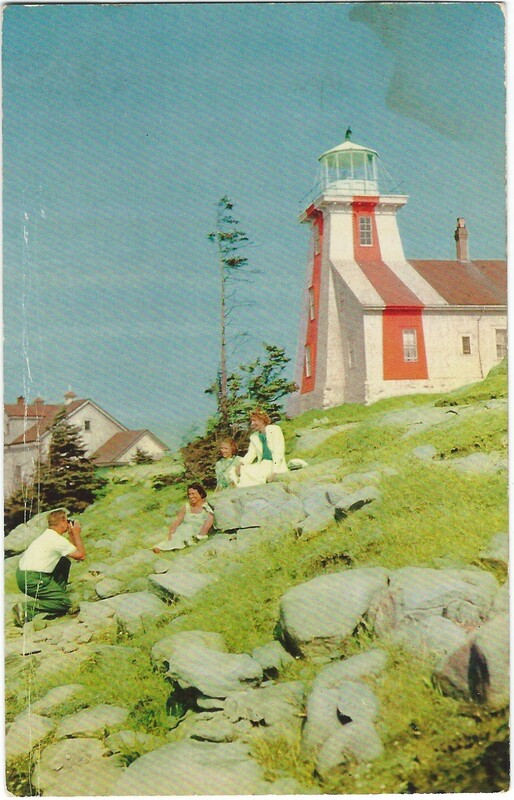 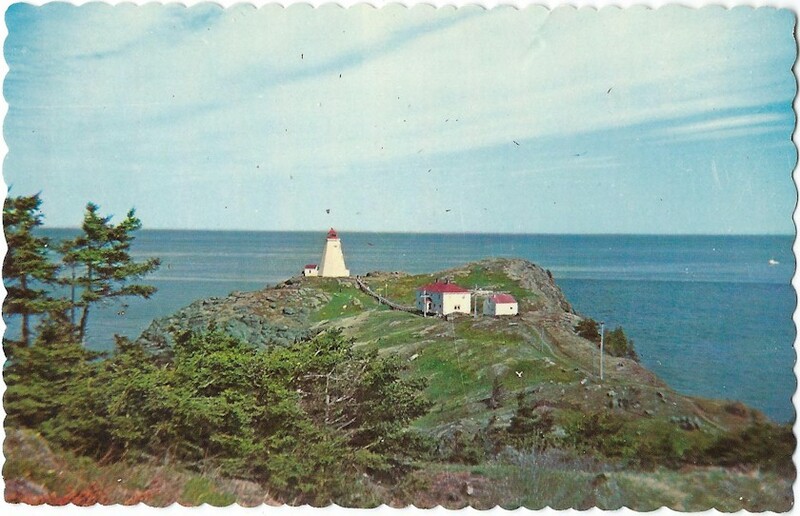 CAPTION: The fixed white light on Mulholland Point is a welcome guide to Yachtsmen and Fishermen who stem Lubec Narrows, that surges between Campobello Island, N.B. 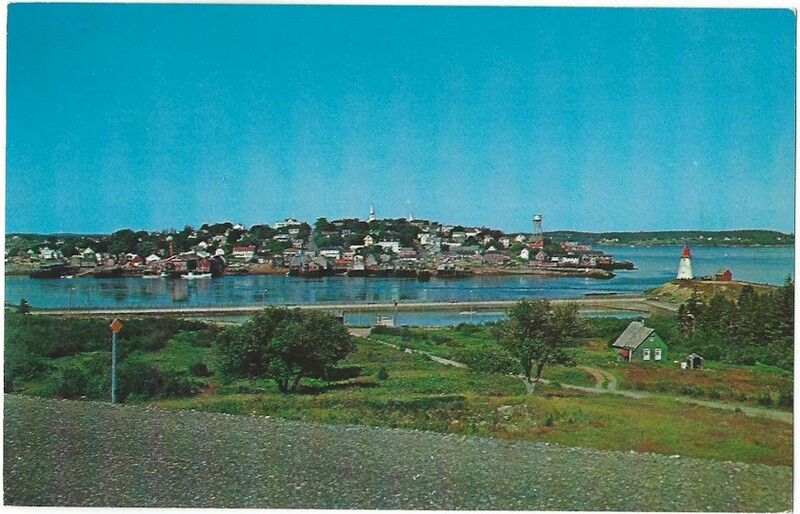 and LUBEC, Maine. PUBLISHER: Pub. 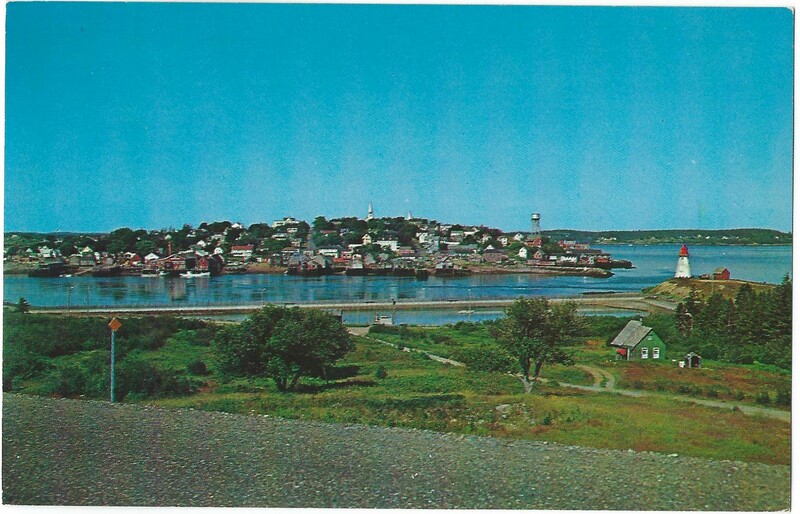 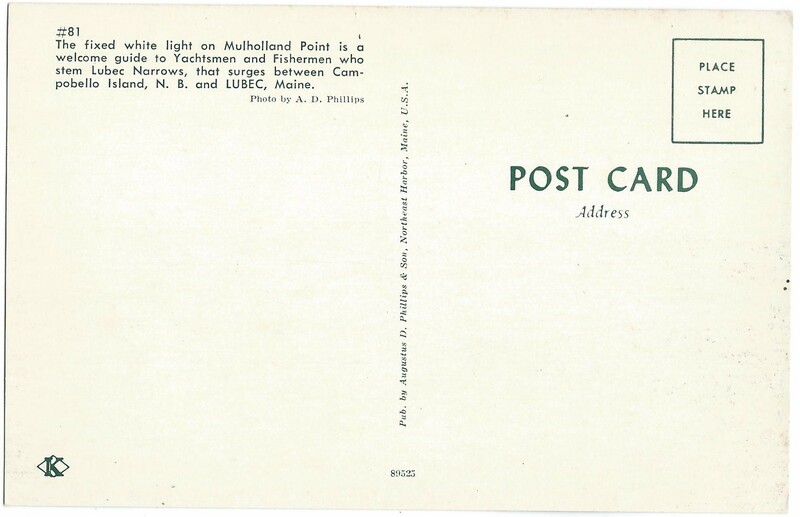 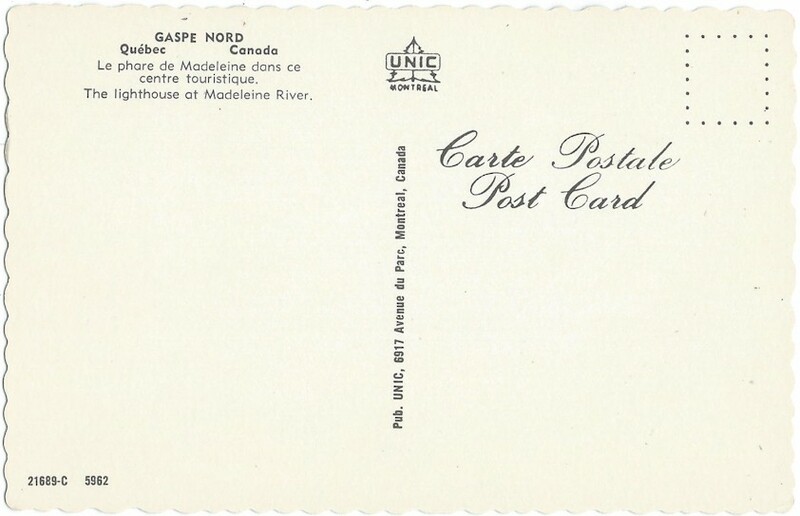 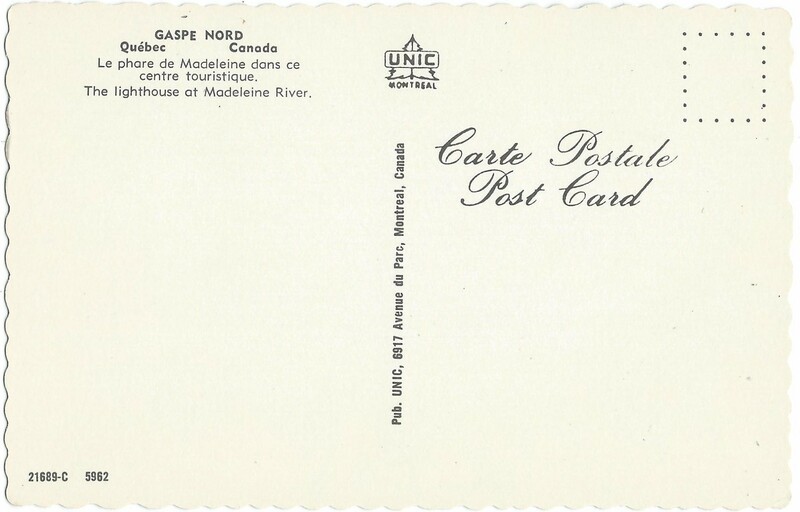 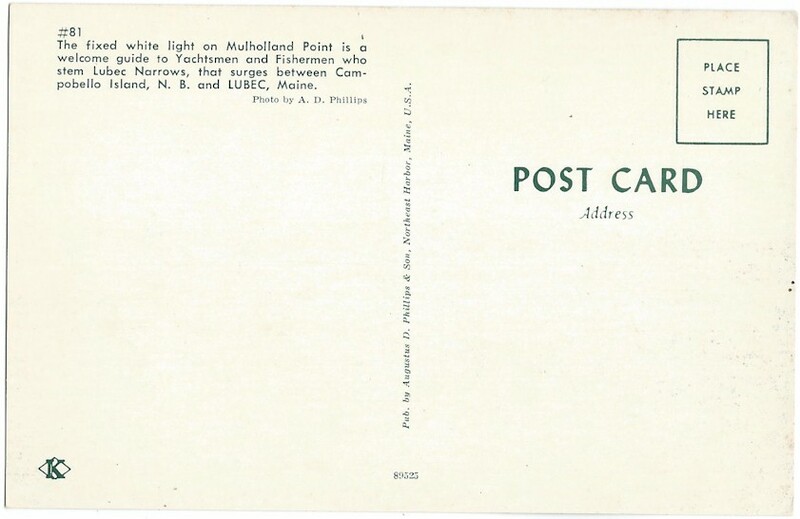 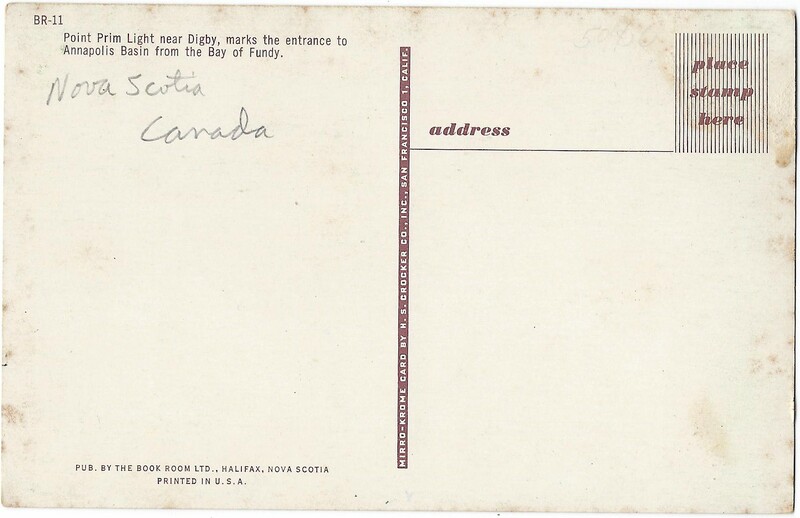 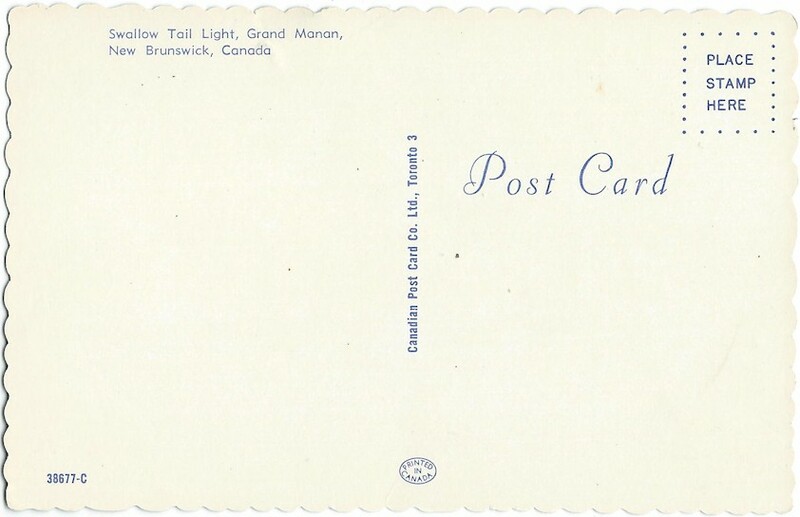 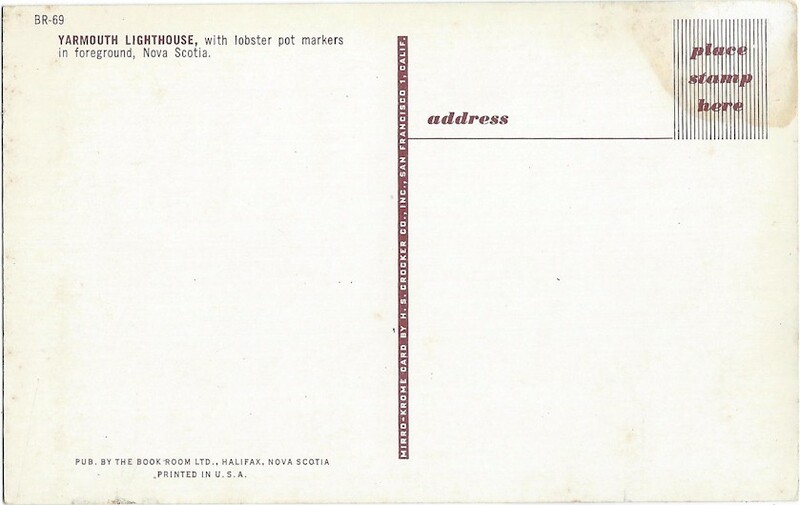 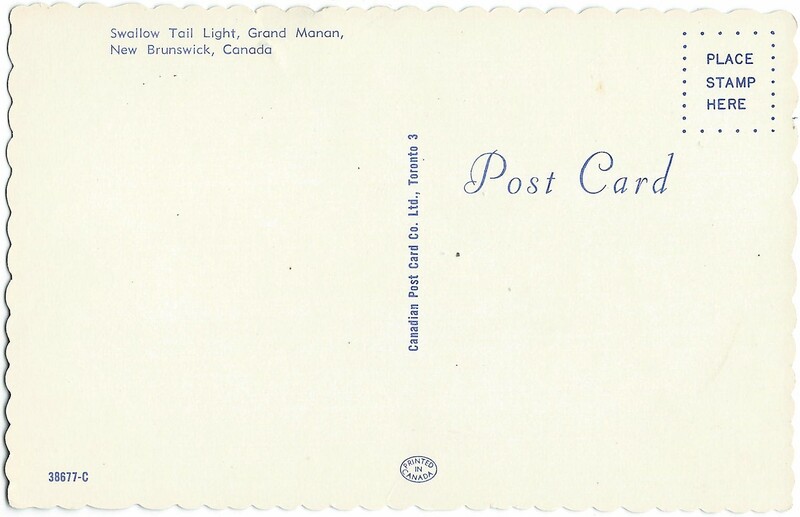 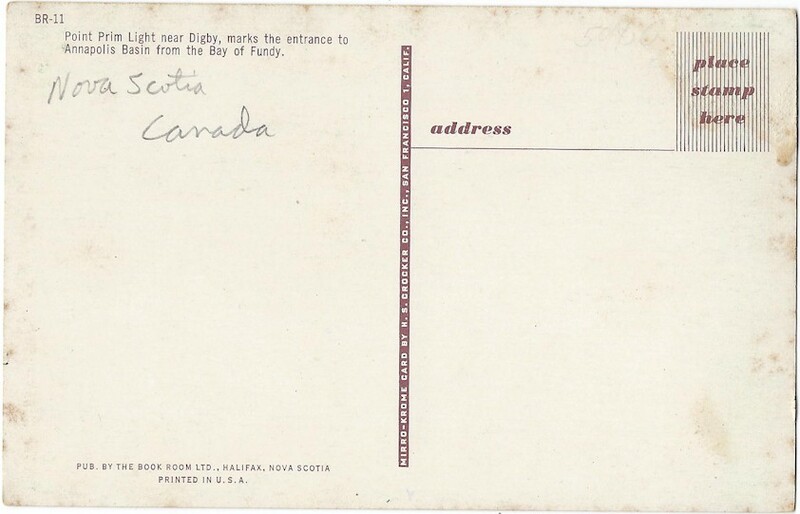 by Augustine D. Phillips & Son, Northeast Harbor, Maine, U.S.A.
POSTMARK: Unused Standard Sized Postcard.